It snowed here most of the day yesterday. 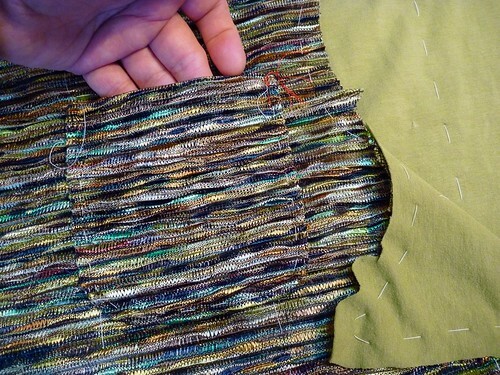 So rather than risk a fender bender, or worse, I stayed in and sewed. I'm really making great progress, and feel pretty confident that I'll be able to finish before the deadline. Having made this jacket before is a huge advantage. I'm not exactly sure how these Pattern Review contests work. Apparently I get to submit two pictures. One of the "inspiration", and one of my interpretation. I'm not sure if I can refer back to my blog. But if I can, it would give people a better idea of my process. For some of you this is old hat, but here's where things currently stand. The patch pockets are finished and sewn onto the jacket fronts. They're a big part of the design, so I take my time and sew them as accurately as I can. My camera really doesn't do this Missoni-esque" fabric justice. Trust me, the overall effect is very green. I'm interlining the jacket with a substantial cotton jersey in a sort of light avacado color. 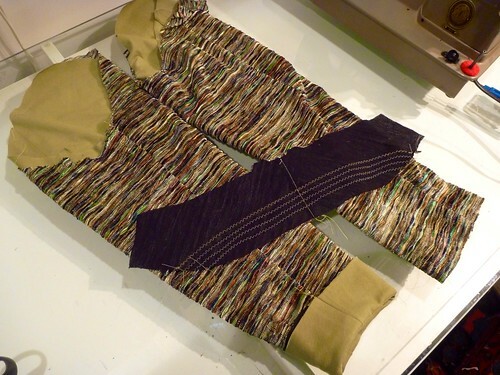 The knit fabric and jersey are basted together to act as one. The pattern is very simple, which makes it go together quite quickly. "Snug hugging" the seams is the time consuming part, but it does make for an attractive inside finish. Lastly, the sleeves are made and lined. 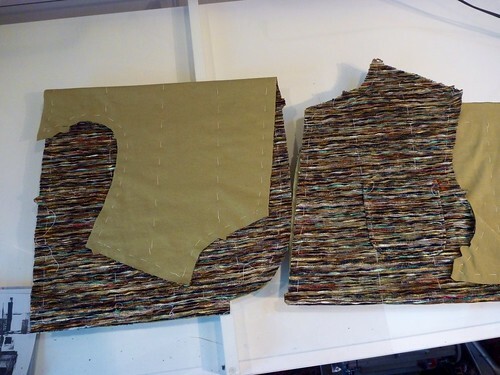 The undercollar is interfaced and rows of zigzagging are added along the roll line to beef it up a bit. The next step will be to add two bound bottonholes to the front. That's something better left for when I'm fresh. Once they're done, things will really move right along. Its coming along so nice! Great work! How fabulous. 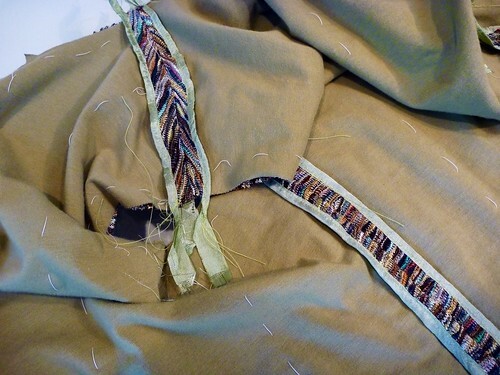 I found your blog through Petite and Sewing and am fascinated by this jacket. 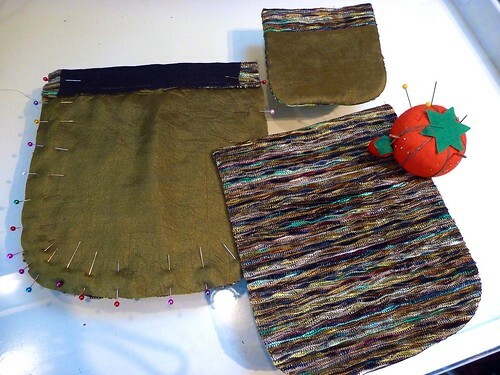 I have this fabric in different colours (missed this gorgeous green though) and have made waterfall cardigans and love the fact that you have made a jacket from it. I must steal some of your techniques here. Missoni Sweater / Blazer #2 -- It's a Wrap!